Let’s say you’re a intergalactic traveler and you somehow end up having your spaceship crash on a strange alien world. It’s a scary possibility, and after struggling to get back to your senses, you finally begin to see the what you have to deal with. You’re trapped in a mysterious yet beautiful and idyllic world. Somehow, you end up with the power to change day and night cycles and you’re supposed to move forward, dealing with many dangers along the way. Welcome to Planet Alpha, a world where every square inch can kill you, whether by deadly lasers from robot overlords or by a cracked up broken path. 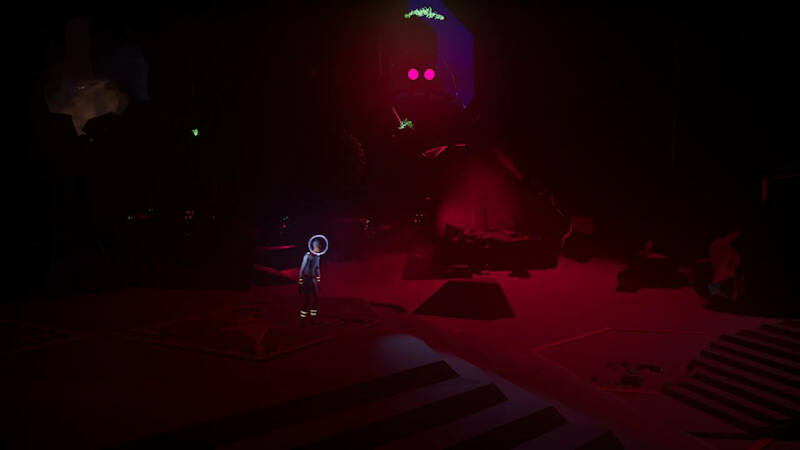 It is a puzzle platformer where you’ll deal with rather complicated puzzles, hard to find paths, and even stealthily walk around robots who will shoot you on sight. Though we’ve only played through the demo, we can safely say it’s an absolute joy to play. It’s a game you would want to try out and if you’re wondering what it holds, let’s take a look at what it dishes out. As said earlier, you’re an intergalactic traveler in Planet Alpha, and you’re dealing with the aftermath of your spaceship crashing in an alien world. The game does not literally tell a tale. Instead, you’re left to interpret what is going on, since there are no spoken or displayed words even as alien ships start arriving. As you progress and traverse through paths and obstacles though, you’re piecing your story puzzle by puzzle. This is a queer way of telling a story, but is compelling in its own right. 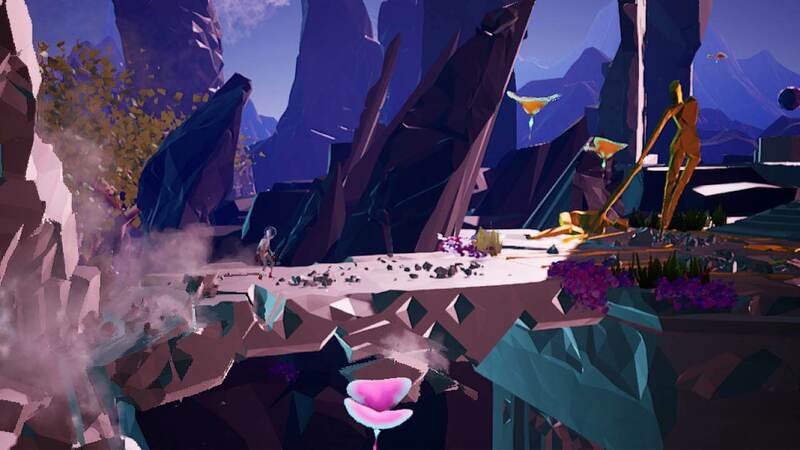 Planet Alpha is a puzzle platformer. You move left, right, down and upwards, climbing cliffs and jumping across platforms. The controls are relatively simple. The analog stick in the left joy-con controls movement, while pressing B lets you jump. The ZL and ZR buttons control the day/night cycle mechanics though these are only accessible in certain areas. The level design is both breathtaking and frustrating. 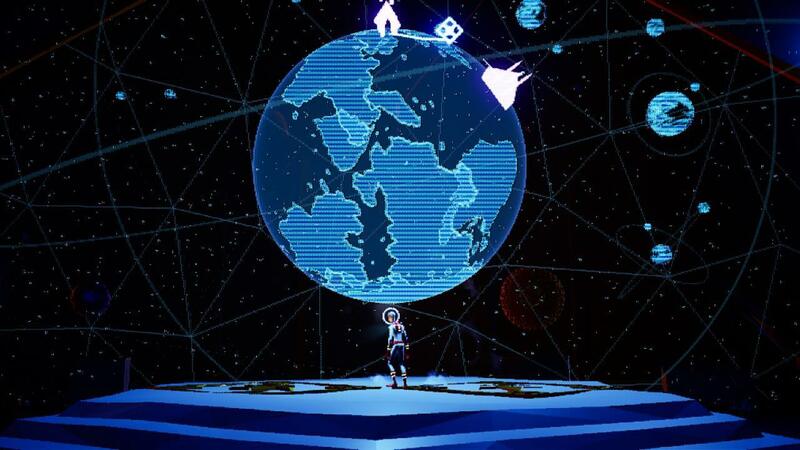 If you’ve played platformers where you try moving through every crack on the wall to find the next part, you’ll experience this again in Planet Alpha. Some paths are quite tricky and easily missable if you’re not looking close enough. At bush hides them from view, or they’re located somewhere above your head. You may also have to move stone blocks to reach certain spots. 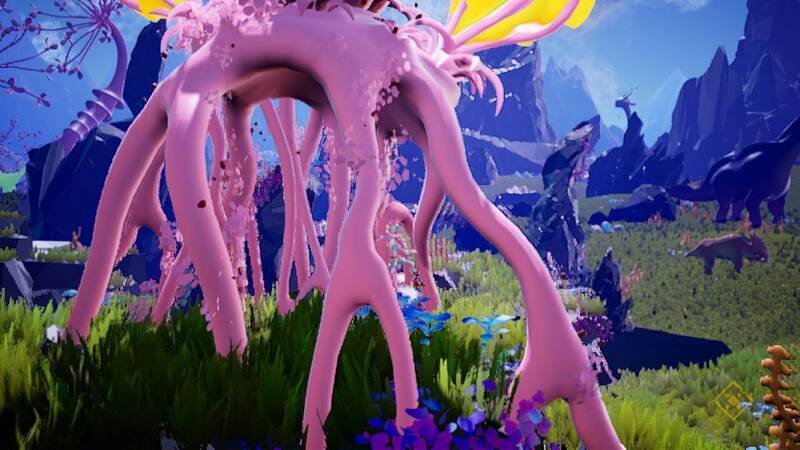 Planet Alpha sometimes treats you to fast-paced moments which contrasts the slow feeling the game provides The platform you’re standing on might suddenly crumble and collapse, requiring you to quickly jump to an elevated area in front of you. Constant vigilance is a necessity while playing since these can happen without any warning. At the same time however, tread carefully since moving to around aimlessly can lead you to spots that can spell your doom. 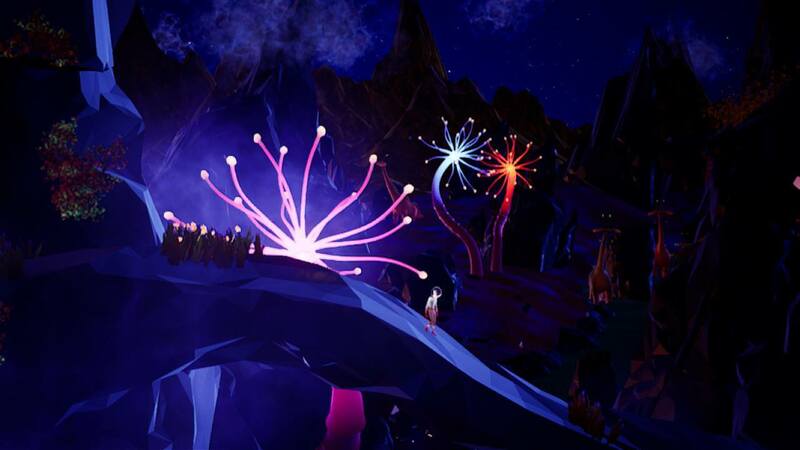 There are certain instances in Planet Alpha where confusion will reign. The game dishes out little guidance, and you’re left to figure out what you have to do. It can get incredibly frustrating, especially in the puzzle sequences. You need to test everything out, but nevertheless, you’ll can find the solutions if you look close enough. Plus, there’s a sense of pride and accomplishment if you manage to figure things out on your own. 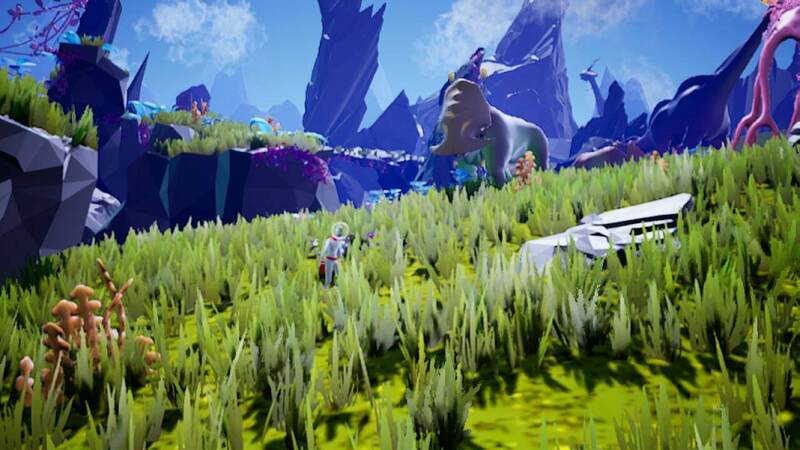 There are enemies in Planet Alpha and you’re powerless against them, at least on the demo. You can’t kill or engage them in battle which is acceptable since you’re not exactly playing as a superhero. The only thing you can do is crouch by pressing the Y button and hide from them using the bushes. When they have their backs turned, you can then make a stealthy retreat. Planet Alpha is solely a singleplayer game which means there are no online co-op capabilities. However, it does have a robust online community on Steam and has its own official Discord server. Planet Alpha’s presentation elements are outstanding. The detail is absolutely breathtaking, especially when you look at the background and all the animals. The atmosphere successfully delivers a feeling of wonder when you see large creatures prowling on the lush greenery. You will also feel dread when the alien robots arrive and start acting like they own the place. The beauty pops out further when objects move. Even on handheld mode, you’ll still feel immersed. The audio elements fully complement the visuals. It is a treat to listen to relaxing and scary music tracks which change depending on the situation you’re in. Animals also make sounds which can range from little chirps to ear-splitting roars. Overall, Planet Alpha is arguably a must-buy for anyone who loves puzzle platformers. 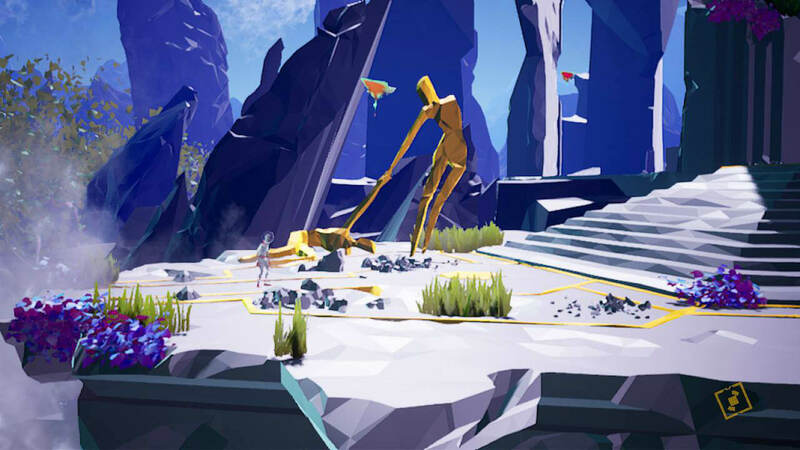 Its gameplay and presentation elements dish out a sense of wonder and mystery which will make you come back for more. It is a journey worth undertaking, set in an imaginative sci-fi world dreams that will leave you breathless in every step that you take. 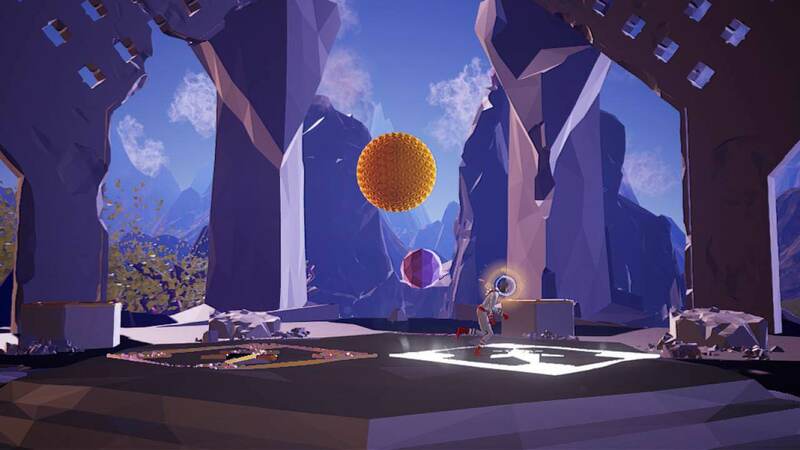 by Mikhail Nov 24, 2018 Planet Alpha is a modern puzzle platformer. 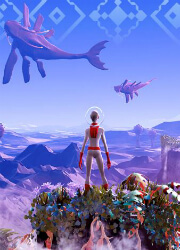 You play as a space sojourner who somehow ended up in a strange alien world. Try to stay alive in a beautiful world with bright lights, picturesque environments, and gigantic animals. 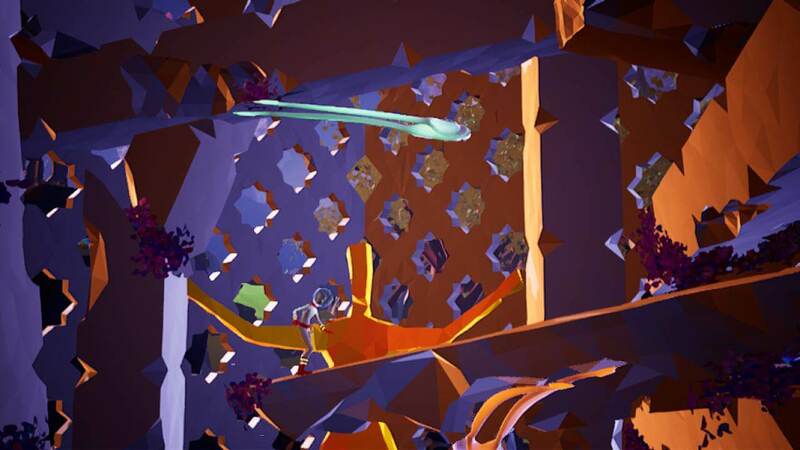 Evade dangerous obstacles, hostile aliens, and solve puzzles to help you go on. Read More Be the First to Post a Review!